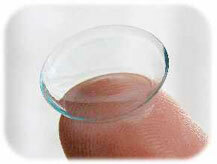 Contact lenses can be a suitable alternative to glasses or LASIK, however they are not without risk. It is important that you follow your eye care providers’ recommendations when it comes to contact lens care and replacement. Disposable contacts replaced on a recommended schedule will not only save your sight, it may even save you money. Thank you for taking the time to read through this brief FAQs sheet. We are committed to providing the very best in eye care and feel that starts with education.